It seems everywhere you turn these days, you can’t seem to get ahead. No matter how long you stay in the so-called “game,” hoping against all odds that your luck will change, it appears the “game” is rigged to keep dealing you a losing hand. Our system has grown too corrupt and unaccountable for us to believe that changing the dealer will save us, and pointing out wrongdoings may also do little to change things for the better. Hope will have to come from the local levels, where individual voices can still make themselves heard. We need to hold our leaders accountable and indict those who break the law and attempt to pervert our system. Additionally, we need to address the ability to influence (i.e., control) special favors – because once there’s nothing for money to purchase, there would be no reason for big monied interests to pursue favors that no longer exist (see To Get the Money Out of Politics, Take Politics Out of the Money by Peter Kay, Huffpost Hawaii, 3/20/14). Join Barb and John as they discuss The Game is Rigged. Hour 2: Dr. Carole Kanchier, Ph.D. Joining Amerika Now during the second hour is career expert, registered psychologist, educator, and columnist Dr. Carole Kanchier. 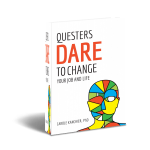 Carole will be discussing her book Questers – Dare to Change Your Job and Life. Purposeful, innovative, and resilient. These are characteristics of successful individuals, but HOW do Questers use these traits to create and grow a career and life? Carole will discuss how to reshape your career and life by using practical techniques which empower you to take charge! Carole will talk about how to tell if your are a Quester and how to use that to your advantage; recognize and become who you were born to be; learn what skills are needed to succeed in a changing world; how to overcome fear of failure; how to grow in your current job; ways to access intuition for decision making; and much more. For more than 25 years, award-winning author, career expert, newspaper columnist, and psychologist, Carole Kanchier, has informed, motivated, and challenged individuals to live their desired lives. Dr. Kanchier is a visionary in career development who encourages her clients and readers to look at new ways to adapt and succeed in their careers and lives by adopting the behaviors and attitudes of Questers. Dr. Kanchier holds a Ph.D. in Counseling and Career Psychology from the University of Calgary as well as having done a post-doc at Loyola University in Chicago. She’s a registered psychologist with 30 years of practical experience and theoretical knowledge in many areas of psychology, counseling, education, and business. For additional information, please visit Dr. Kanchier’s website http://questersdaretochange.com. CALL 800-259-5791 TO SPEAK WITH CAROLE KANCHIER. Hour 3: Susan McCrossin, A.P. Author and Founder of Crossinology Brain Integration Technique Susan McCrossin, A.P., joins the show during the final hour to discuss her book, Breaking the Learning Barrier: Eradicating ADD, ADHD and Dyslexia. Sadly, for children with Attention Deficit Disorder (ADD), Attention Deficit Hyperactivity Disorder (ADHD), or dyslexia taking a spelling test—or performing any task such as reading, math or chores at home—can be a challenge. Do you, your child, or someone you love struggle with a learning disability? Susan McCrossin’s book Breaking the Learning Barrier: Eradicating ADD, ADHD and Dyslexia offers hope and life-changing results for those with learning disabilities. For those seeking a drug-free alternative for treating learning disabilities, McCrossin’s Crossinology® Brain Integration Technique—a non-invasive neuropressure treatment–has been proven to eliminate learning disabilities in as little as eight hours. Susan will discuss how this amazing process gets to the root of the problem and brings about permanent change. Achieve success in school . . . enhance your financial potential . . increase your personal happiness and self-confidence. You or someone you know can overcome ADD, ADHD, or dyslexia and live a joyful, productive life. As a teenager, Susan McCrossin found herself slipping through the cracks of the Australian school system. Because of an undiagnosed learning problem, she was frustrated and feared that she would never be an academic success. It wasn’t until years later that she turned her attention to finding answers for the for the learning disabilities that initially put her career and self-worth in jeopardy. It was then that she realized she had been living with a form of dyslexia. Finally, while developing and after receiving treatment, she began to excel in academics. She went on to receive a degree in psychology and an advanced degree in neuroscience from an Australian university. 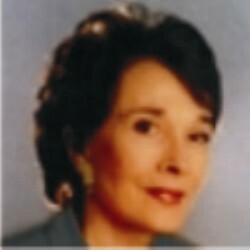 Susan also conducted extensive brain research into the techniques she had used on herself, and others, to eradicate her learning deficits. For more information, visit http://crossinology.com. CALL 800-259-5791 TO SPEAK WITH SUSAN McCROSSIN.